Welcome to College Town Apartments, where you will find a friendly, family community. 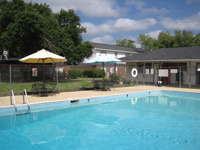 Here at College Town Apartments you will enjoy the amenities that are provided such as, a spacious swimming area, a playground area, and night/weekend managers. Also, we are located only six blocks from Southeastern Louisiana University; making it very convenient for college students. We have lighted walkways for your safety. Let’s not forget our full-time, professional and courteous staff. 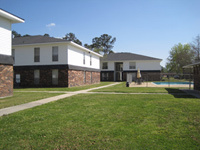 Although we accommodate college students, others (families, singles, couples, etc.) are welcomed. There are many possibilities with our one, two, or three bedroom apartment homes, and we are confident that with all of our accommodating features; you will enjoy calling College Town Apartments - “HOME”.